I took my friend Vanessa out for a birthday brunch at Fabergé yesterday morning. 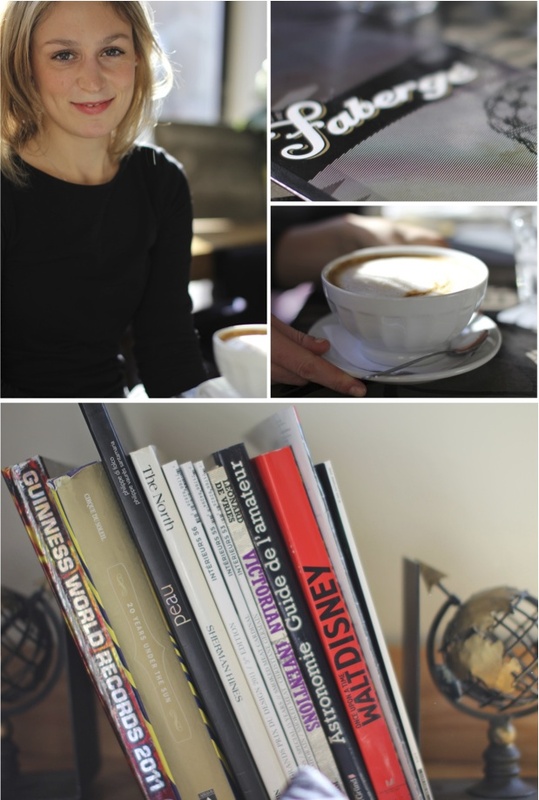 It's a somewhat-new, trendy little "breakfast-lounge" in Mile-End. Montreal has an awesome breakfast culture. There really are tons of great places to choose from. And the amazing thing is that we still don't have enough of them. Every weekend, unless you managed to get yourself out of the house before 10am, there will inevitably be a wait line. C'est la vie, I guess. So I am always happy to discover a new Montreal breakfast option. Especially one with the philosophy "built by Montrealers, for Montrealers". Fabergé truly is a charming place, and we both instantly fell in love with it. I couldn't resist but order their signature dish, The Breakfast Poutine. 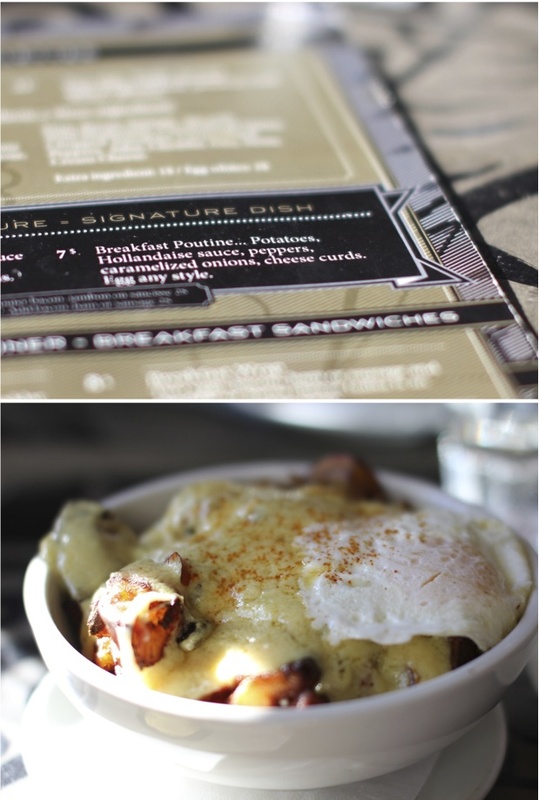 Home fries, cheese curds, caramelized onions, eggs & hollandaise sauce.... all in one big heap of gooey deliciousness! It doesn't get more Montreal than this. The hubby would definitely have loved it... which means we will just have to go back for more. These photos are beautiful! Wow! Like your doing a food review for a magazine. oh my god i should not have looked at this with an empty stomach... gorgeous photos! I am always looking for good (and interesting) restaurants in Montreal. I need more hipster friends to take me to fun places. I feel like I'm in a rut and always go to the same places. Maybe that can be my goal this year. AND was that really good? I feel like I'd wanna barf after that much food. Though probably a fun place to bring any of my american friends who've never heard of a poutine. 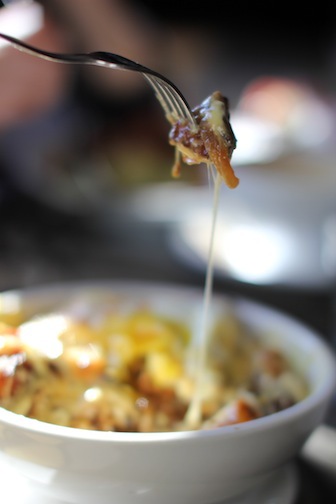 Wow, that breakfast poutine looks amazing. And happy two years!